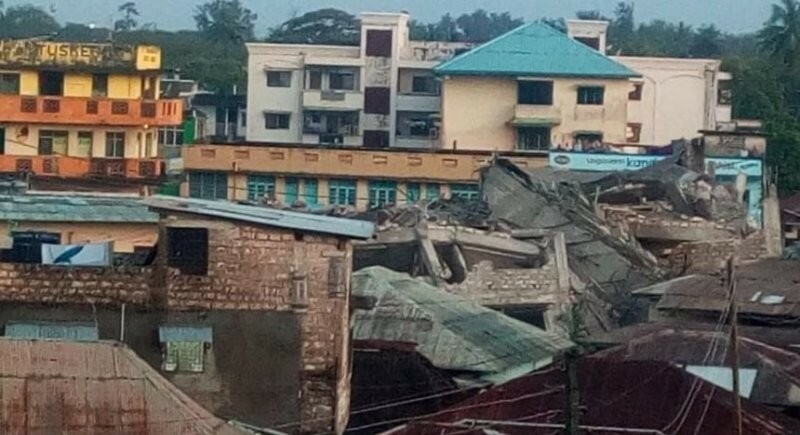 Three people are feared dead after an eight-storey building collapsed in Barani area in Malindi today morning. Kenya Red Cross says several people have been trapped inside the building which was under construction. Kenya Red-cross personnel and those from Emergency Plus Medical Services are at the scene. In June this year, three people were killed after a five-storey building collapsed in Nairobi in the wee hours of the morning. In the same month,authorities revealed that 30,000 to 40,000 buildings built without approval were at risk. In June 2017, two people died after a seven-storey block fell down in Pipeline Estate, Nairobi. 49 others were killed in 2017 when their building collapsed during a heavy, night-time downpour in Nairobi’s Huruma estate.